View More In Beard & Mustache Care. Get the best of both worlds at a reduced price! This kit includes a 3.4 ounce tube of our game changing Beard Conditioner & Face Moisturizer and a 6 ounce tube our Face & Beard Wash. Real men take care of one another. We donate a portion of profits to support wounded heroes as they travel the road to recovery. Made in the USA. No animal testing. Paraben-free. 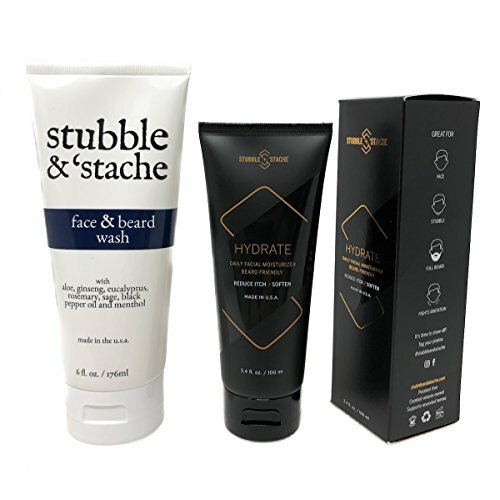 If you have any questions about this product by stubble & stache, contact us by completing and submitting the form below. If you are looking for a specif part number, please include it with your message.